Friends since childhood but separated by years and geography, Alan Landros and Blyden Loutensock found each other again in a time of need. And when it came time for Loutensock to make a choice to help his old friend - Landros needed a life-saving transplant after polycystic kidney disease had nearly destroyed his organs - he didn't hesitate to donate one of his own kidneys. "We get one chance to live our lives and do good things," says Loutensock. "It will literally be a chance to give Alan his life back, and that's why I'm doing it." The two men had met in grade school in Burbank, California. They remained friends through high school but afterward went their separate ways. Loutensock was living in Utah with his wife and children when word came to him that Landros was ill. He immediately decided he would help if he could, and when testing determined he was a good match he spent two years losing 40 pounds and undergoing rigorous physical training to prepare for the surgery. Landros was overwhelmed to learn that his old friend, whom he had not seen in many years, had come forward to help him. "It's hard to put into words someone wanting to do this much for you," he says. "Saying ‘thank you' seems so inadequate." Forty-six years after they first met, Landros and Loutensock were together at Ronald Reagan UCLA Medical Center, where Dr. Albin Gritsch, surgical director of the UCLA Kidney Transplant Program, would oversee the operation. 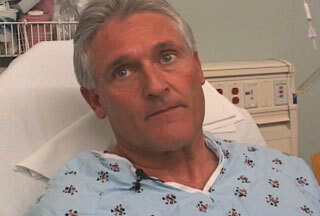 First, Loutensock underwent laparoscopic surgery to remove one of his kidneys. Then, Landros received the transplant. 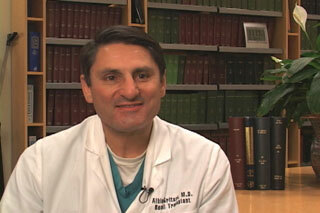 "With a living donor kidney transplant, it's particularly special," says Dr. Gritsch. 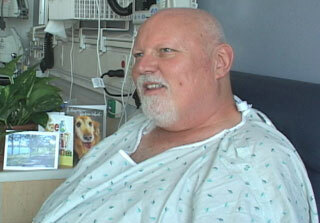 "Blyden's kidney worked right away, and it started to clean Alan's blood right away. The story still moves me every time I think about it."